What Makes Zippy Shell Unique? Several different scenarios can bring about the need for temporary or long term storage. As individuals move through the stages of life, there are times that their belongings must be kept in a safe, secure and off-site location. That need has created an entire storage industry, and people have plenty of choices when it comes to selecting a storage provider. At Zippy Shell, we pride ourselves in offering services and options that set us apart from the pack. When you call us, you can expect to be treated with respect. Our team of professionals is here to listen to your concerns, address your needs, and answer any questions that you may have about our services and the process of getting your items from point A to point B. We will work with you to determine the best way to meet your storage needs, and we will never rush or pressure you to make a decision. We operate our business by treating customers the way that we would like to be treated, and that approach has brought us many return customers, as well as referrals. There are several aspects of our business model that allow us to offer the best possible storage value to our customers. To begin, we are locally owned and operated, which means that we have the flexibility to create procedures and processes that work for our team and our customers. We don&apos;t have to answer to corporate bosses in an office five states away. That flexibility has allowed us to deliver a superior service to our customers. 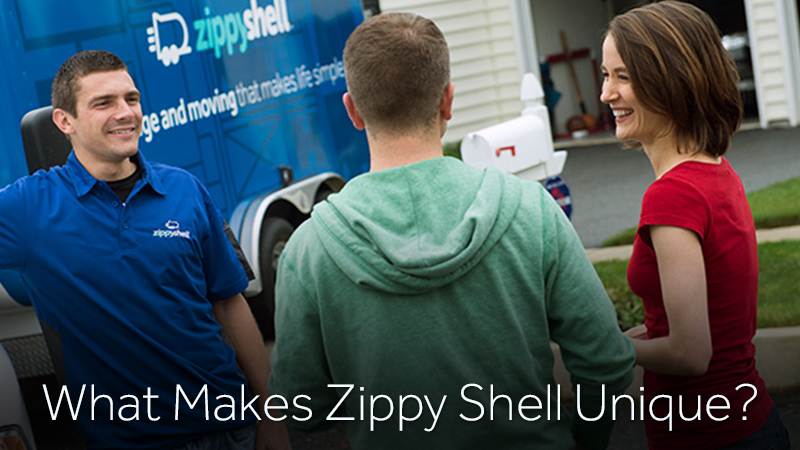 Zippy Shell offers a number of advantages over a traditional storage unit. You simply call and tell us how many containers you need and where you would like them delivered and they will arrive at the time and place you have chosen. From that point, you will have two to three days to load the container with your items before it will be picked back up and taken to our storage location. We can drop the containers in your driveway, or at the curb. If you live in an urban area, our drivers are highly skilled at finding the best legal space and parallel parking your unit. 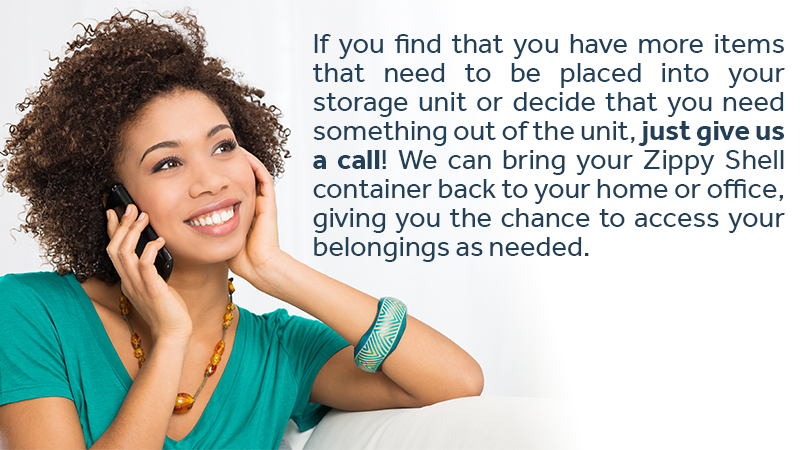 If you find that you have more items that need to be placed into your storage unit or decide that you need something out of the unit, just give us a call! We can bring your Zippy Shell container back to your home or office, giving you the chance to access your belongings as needed. When you no longer need storage services, we will bring your container to your location, and you will have plenty of time to unload on your own schedule. The team at Zippy Shell Houston has created a business model that we are proud of. Our attention to detail, professionalism and customer service has earned us many return customers, as well as referrals to friends and family. Whether you are moving or are just in need of portable storage, we invite you to contact us today to learn more, and to discuss your storage needs.